I have some very exciting news to announce. 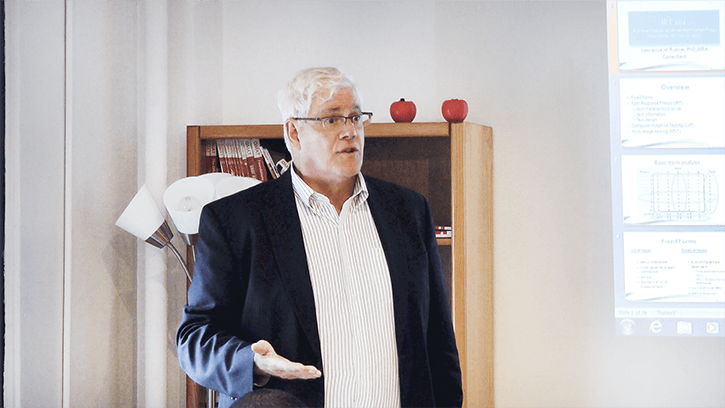 For the past several months, we have engaged Dr. Lawrence Rudner, former Chief Psychometrician of the Graduate Management Admissions Council (GMAC, the makers of the GMAT®), to review our practice tests. Dr. Rudner is one of the world’s leading experts in item response theory, the testing principle on which the GMAT is based. He is the definitive authority on the GMAT examination. In short, our tests do “an excellent job of predicting” your score on the real GMAT. That’s great news! I am particularly excited about the fact that our CATs were so strong that Dr. Rudner offered his endorsement without requiring us to change a single thing. Going into the review, we had thought that we would be given a required list of changes before he could give his seal of approval. I do have to add a caveat: nothing is perfect and not everyone scores on the real test exactly what they scored on our test (or any practice test). No standardized test is that precise, including the real GMAT. There are also other factors that can negatively affect certain students, such as anxiety (you know your practice tests don’t really count) or mental fatigue (don’t study for 6 hours the day before the real exam!). Caveat over. In general, you can trust our exams to help you know when you’re ready to get in there and take the real thing. I already felt that way before, but now I can say it with conviction, because Dr. Rudner has confirmed the accuracy of our exams. I have to give a shout-out to all of our instructors who have worked so diligently on our exams over the years—you know who you are. We literally would not be having this conversation right now if not for your hard work and dedication to making our materials the best. Thank you for your love of teaching and your complete fascination with the GMAT. I’m proud to call you colleagues and friends. And back to our students: Go forth and study! You can beat this test! 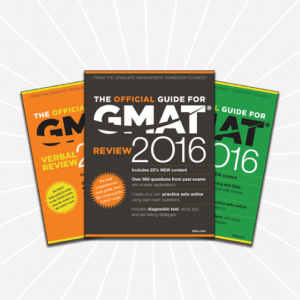 Now that the new 2016 GMAT Official Guide books are out, I’d like to talk about how to use these problems to get the most out of your study. I also want to talk about what not to do, as a lot of people end up essentially wasting these great study problems (not to mention valuable time!). Your goal is to learn from the GMAT Official Guide (OG) problems in such a way that, if you see something similar on the real test, you’ll recognize what to do on that new problem. Your goal is NOT to memorize how to do the problems that you’re studying. You won’t see these exact problems on the test! Can you tell me exactly how to do a particular problem? That’s great. But I care far more whether you can tell me how you know what to do and why you want to take the steps that you take. If you can, then you’ll know how to think your way through a new problem on the real test. Your goal is NOT to try to get everything (or even most problems) right. Sometimes, what you want to recognize fairly quickly is that you should guess immediately and move on. Other times, you want to recognize that your best strategy is to spend some time making an educated guess—and then move on. Still other times, you’ll have to be able to recognize that you initially thought you could do this one but it’s just not happening, so you’ll need to cut yourself off, guess, and move on. On June 24th, GMAC (the organization that makes the GMAT®) made two announcements that change the GMAT testing game. Read on to find out what they are! In this installment, I’ll discuss my overall conclusions for quant and I’ll also give you all of the problem numbers for the new problems in both the big OG and the smaller quant-only OG. Now that I’ve seen everything, I’ve been able to spot some trends across all of the added and dropped questions. For example, across both The Official Guide for GMAT® Review (aka the big book) and The Official Guide for GMAT® Quant Review (aka quant-only or the quant supplement), Linear Equation problems dropped by a count of 13. This is the differential: new questions minus dropped questions. That’s a pretty big number; the next closest categories, Inequalities and Rates & Work, dropped by 5 questions each. I’m not convinced that a drop of 5 is at all significant, but I decided that was a safe place to stop the “Hmm, that’s interesting!” count. The biggest jump came from Formulas, with 10 added questions across both sources. This category includes sequences and functions; just straight translation or linear equations would go into those respective categories, not formulas. Positive & Negative questions jumped by 7, weighted average jumped by 6, and coordinate plane jumped by 5. Given that Linear Equations dropped and Formulas jumped, could it be the case that they are going after somewhat more complex algebra now? That’s certainly possible. I didn’t feel as though the new formula questions were super hard though. It felt more as though they were testing whether you could follow directions. If I give you a weird formula with specific definitions and instructions, can you interpret correctly and manipulate accordingly? If you think about it, work is a lot more like this than “Oh, here are two linear equations; can you solve for x?” So it makes sense that they would want to emphasize questions of a more practical nature. The new Official Guide books are here! 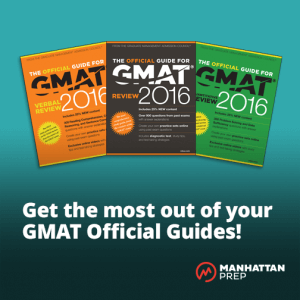 Last time, we talked about the Quant portion of The Official Guide for GMAT, aka the OG or the big book. In this installment, we’ll discuss the Verbal section of the big book. Later installments will talk about the Quant Review and Verbal Review (the smaller books), as well as question lists for the new questions. What’s new in OG 2016? Approximately 25% of the questions are brand new, and there are some beauties in the mix. As I worked through the problems, I marveled anew at the skill with which the test writers can produce what I call elegant problems. On the verbal side, I loved how some of the new questions wove meaning into the issue of Sentence Correction; if you have been focusing on grammar and shortchanging meaning, you’re definitely going to need to change your approach. The GMAT is now offering an Enhanced Score Report! Big news from GMAC, the makers of the GMAT! Starting January 29th, you can order an Enhanced Score Report (ESR) that will contain all kinds of nifty data from your official GMAT CAT. I’ve got all of the details below, but first I’ll address a few details that will be on everyone’s mind. Is available for any GMAT taken from October 2013 forward, as long as you are still within the 5-year window from the date of the exam (which everyone is right now!). Contains great data such as: percentage correct by question type and certain content areas; average time by question type and certain content areas. Is available even if you cancel your score! Why did they create this report? 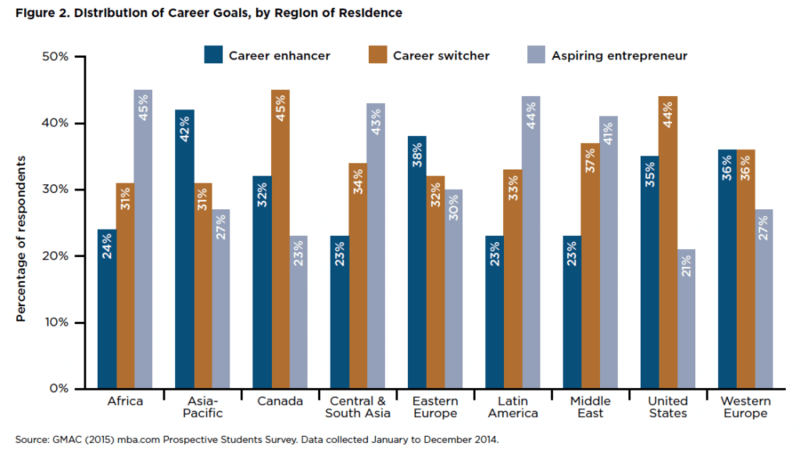 The motivation was primarily student-driven. Test-takers naturally want more data about their strengths and weaknesses for a variety of reasons, some obvious and some not so (more on this later). Spokesperson Rich D’Amato, speaking on behalf of GMAC, told me that they have been beta-testing the ESR with students for the past year, exploring what students would want to see, how they would use the information, and how best to display that information visually so that it is easy to analyze. In fact, Rich said something that impressed me enough to write down verbatim: “We spent a great deal of time listening.” So thank you to all of the beta-tester GMAT takers who gave their time and thoughtful opinions to help develop these reports, which will help all of the rest of us going forward.